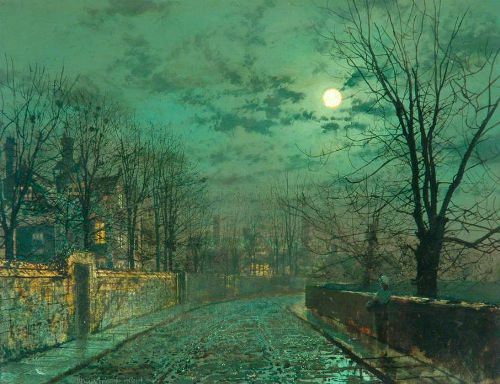 True to the Pre-Raphaelite style, Victorian-era artist John Atkinson Grimshaw was known for his city night-scenes and moonlit landscapes painted with vivid detail and realism. 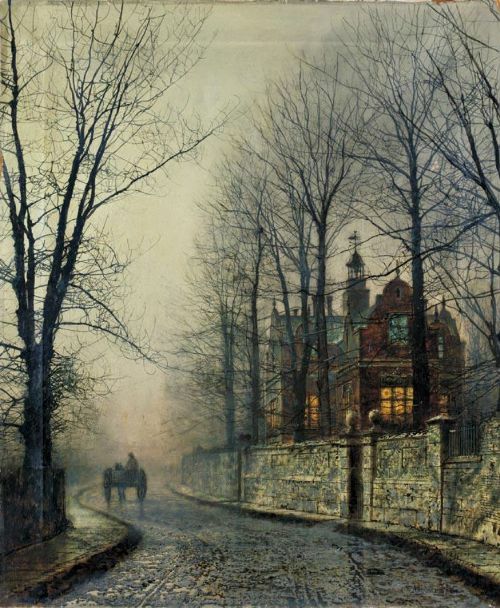 It is noteworthy that the artist’s works are often used in the context of Jack the Ripper, ie they are the background and an illustration of mood and atmosphere of London of that time. In the autumn of 1888, a serial killer with the skills of a butcher or a surgeon murdered five prostitutes within a matter of weeks in a small area of Whitechapel in the teeming East End slumland. 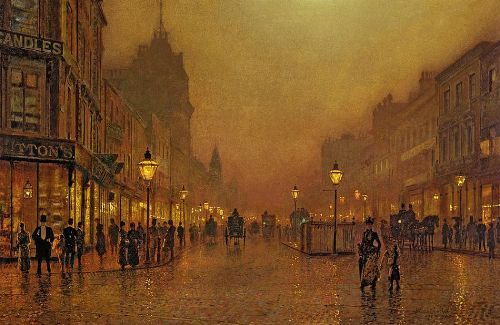 He was dubbed Jack the Ripper, and his crimes turned into urban legends, which still continue to fascinate us. 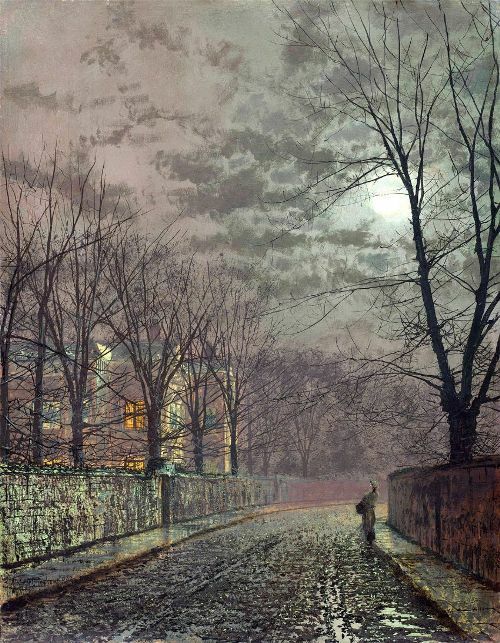 John Atkinson Grimshaw was a contemporary of Jack the Ripper, whose crimes caused genuine historical research, folklore, and pseudohistory of the citizens. 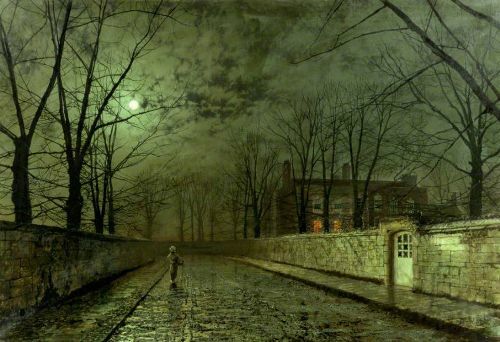 Impressionable nature of the Moonlight Painter John Atkinson Grimshaw, could not miss this fact. 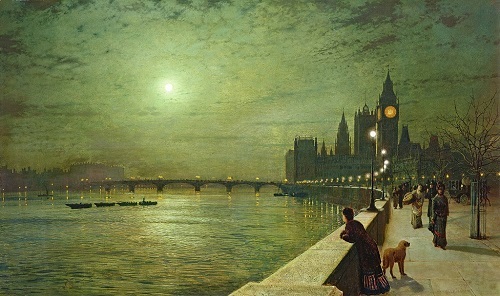 Grimshaw’s paintings depicted the contemporary world but eschewed the dirty and depressing aspects of industrial towns. Shipping on the Clyde, a depiction of Glasgow’s Victorian docks, is a lyrically beautiful evocation of the industrial era. 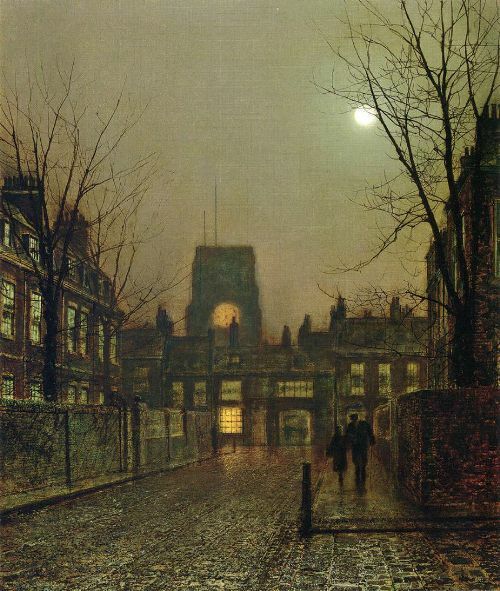 The night scenes of Whitechapel seem designed and lit to evoke John Atkinson Grimshaw’s paintings of Victorian working-class districts with their greens and browns, light from windows and the moon shining on the mud-slicked, cobbled streets, and the sinister cabs passing through with their single turquoise lamps at the front. 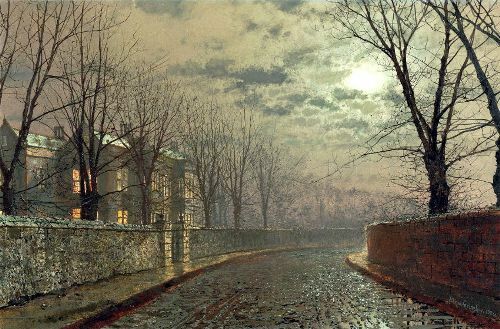 Moonlight Painter John Atkinson Grimshaw was born 6 September 1836 in Leeds. Raised in the family of a policeman and strict Baptists, John’s parents forbade him to paint, mother once even destroyed all his sketches. He was made to work at the Great Northern Railway. 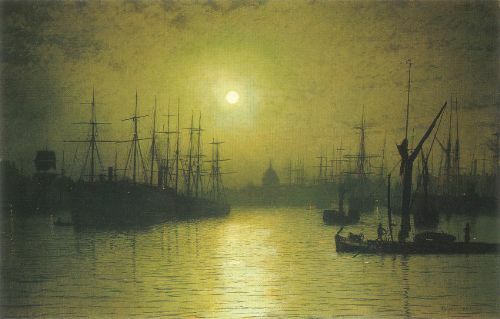 But in 1861, at the age of 24, he left his job to become a painter. 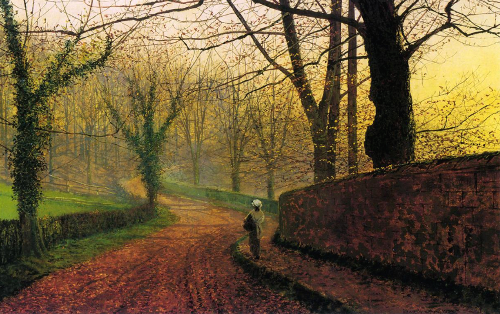 He started his career in Leeds and gradually built a name for himself locally as an artist. 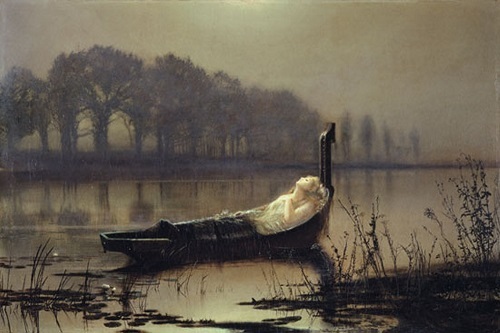 He first exhibited in 1862, mostly paintings of birds, fruit and blossom, under the patronage of the Leeds Philosophical and Literary Society. 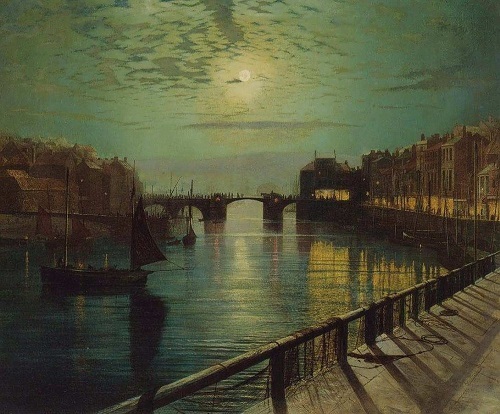 He became successful in the 1870s and rented a second home in Scarborough, which became a favorite subject. In 1856 he married Frances Hubbard (1835–1917), who was his cousin. 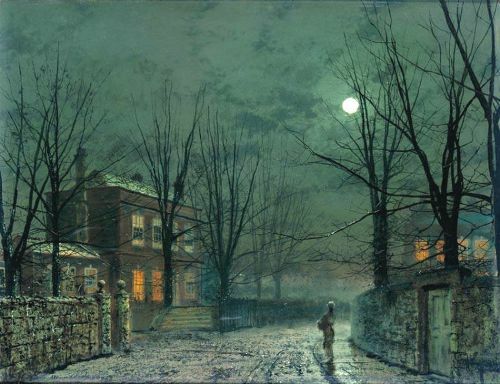 John Atkinson Grimshaw worked primarily in Leeds, Liverpool, London, Glasgow and Scarborough. 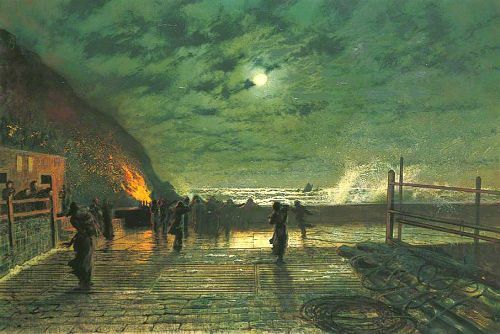 Grimshaw fought constantly against debt, tried to raise a large but sickly family (15 children, 9 died at birth or very young) and found his salvation in painting. 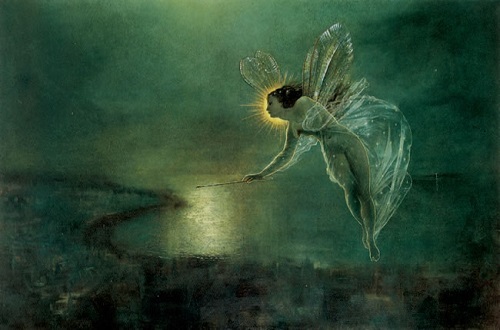 Four of his children also became painters – Arthur E. Grimshaw (1864–1913), Louis H. Grimshaw (1870–1944), Wilfred Grimshaw (1871–1937) and Elaine Grimshaw (1877–1970). Grimshaw died 13 October 1893, and was buried in Woodhouse Hill Cemetery, Hunslet, Leeds. His reputation rested on, and his legacy is based on, his cityscapes. 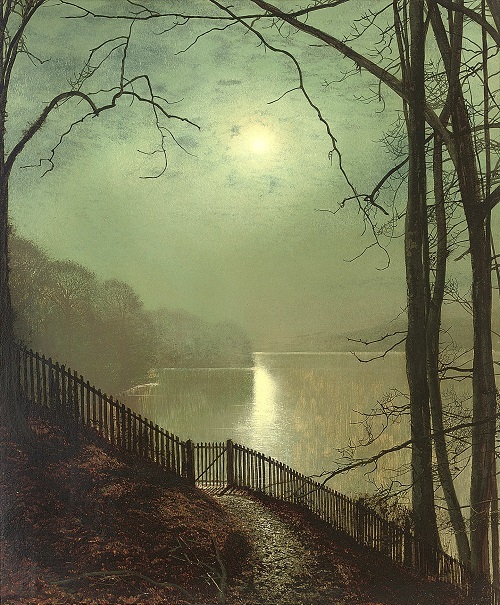 There was a revival of interest in Grimshaw’s work in the second half of the 20th century, with several important exhibitions devoted to it. 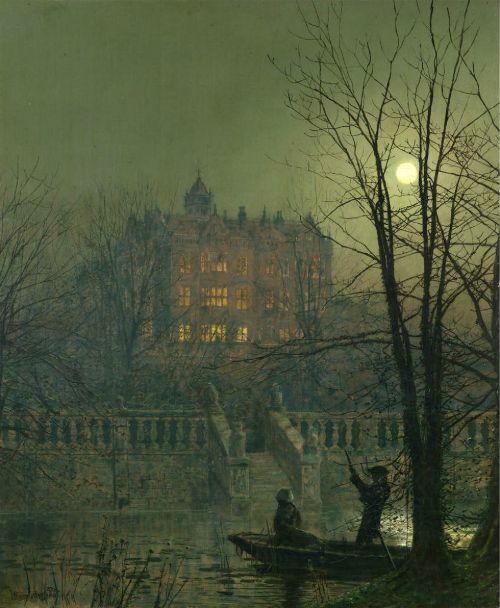 A retrospective exhibition “Atkinson Grimshaw – Painter of Moonlight” ran from 16 April 2011 to 4 September 2011 at Mercer Art Gallery in Harrogate and subsequently in the Guildhall Gallery, London.